The cost of Halloween costumes can be downright frightening! 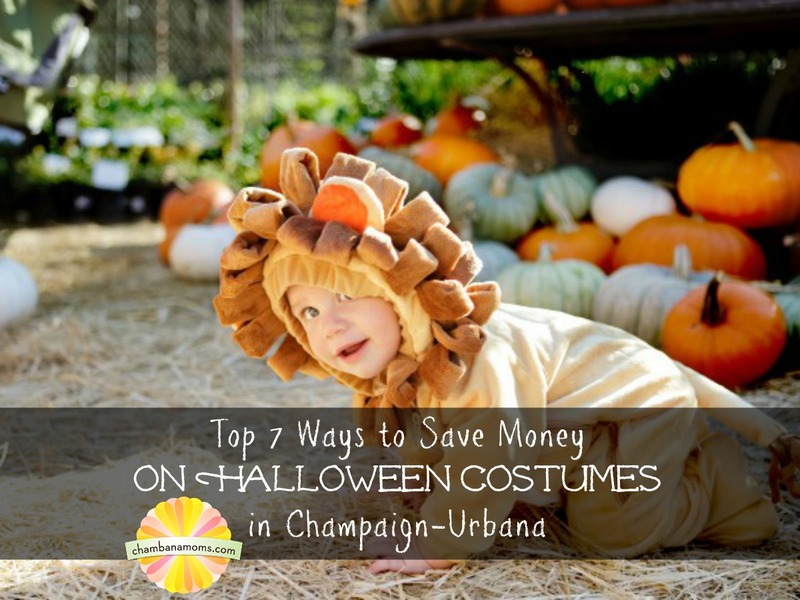 With the average person in Champaign-Urbana spending about $75 on costumes each year, it’s safe to say, Halloween can be pretty scary on the pocketbook. Champaign Park District’s Halloween Costume Drive and Exchange- The Champaign Park District and Busey Bank want to make sure all children in the community can enjoy Halloween festivities! This is the third year for the costume swap, which began Sept. 17 and runs until Oct. 18. People can drop off costumes and accessories at The Douglass Community Center, Leonhard Recreation Center, Hay Recreation Center, Dodds Tennis Center, Springer Cultural Center, and the Bresnan Meeting Center, and select Champaign-Urbana Busey Bank locations during business hours. Please check The Champaign Park District website for additional locations. People can then pick up (and continue to drop off costumes) on October 20 from 10 a.m. to noon at the Douglass Community Center. All costumes are free and people don’t need to contribute in order to take a costume. If any costumes are left, people may come to the Douglass Community Center during business hours and pick up costumes through Halloween. Goodwill and Consignment shops– Shopping at Goodwill and consignment shops is a great way to find gently used, affordable costumes. In addition to Goodwill stores in Champaign and Savoy, there are several consignment shops in the Champaign Urbana area. Here’s our consignment guide. One Week Boutique Fall Event– One Week Boutique, the area’s biggest children’s consignment sale, is a great place to snag a Halloween costume, but you have to plan ahead. The fall 2018 sale was Sept. 15-17. With hundreds of families selling their gently used kids’ items, you will be sure to find some great deals on Halloween costumes. Raid Your Closets– Recycle past costumes and hand down the classics that are always cool to younger siblings. Or “piece” a costume together from items you already have. For instance, my daughter has an apron and a chef’s hat. She would make a really cute chef for Halloween! Work Your Network and Trade with Friends– Put social media to good use and announce you’re search for a certain costume. There’s a good chance one of your friends will have what you need. The I.D.E.A. Store– If you’re into the DIY thing and Pinterest is your passion, you should definitely check out the The I.D.E.A. Store in Champaign. It’s full of an amazing collection of unique materials perfect for any crafting project imaginable. By the way, making your own costume doesn’t have to be complicated. 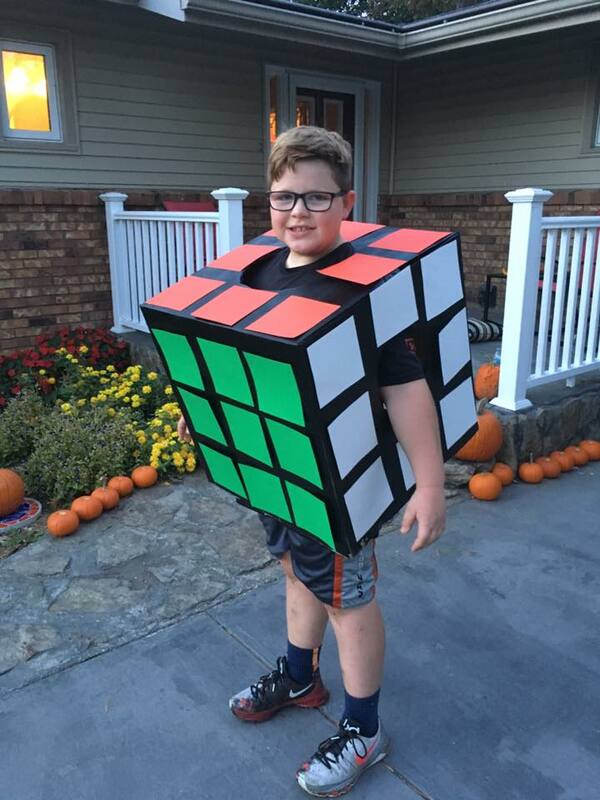 I don’t consider myself a crafty person, but one of my favorite Halloween costumes I ever made was a Rubik’s Cube. All it took was a box, spray paint, and colored paper to pull that costume off. Local Garage Sale Websites– I have found some amazing deals on furniture and other items on these sites. People from around the area sell all kinds of things, including kids’ Halloween costumes, so check those out too! For more tips on how to do Halloween on the cheap, check out some of our other articles below. And let us know if you have any tips!